I love gardening and I love writing, so I guess I shouldn’t be so surprised that the two come together time and time again in amazing ways. For years I struggled to grow the modern Hybrid Teas—you know, those “florist-style” roses—and failed miserably. They always got blackspot and died within a year or two. Desperate, I started researching roses and somewhere along the way, fell in love with Old Garden Roses, that is, roses hybridized prior to 1900. To have survived over the years (and in some cases centuries) these stalwart survivors of the garden wars had to be tough. And although many varieties only bloom once a year, when they bloom, they really bloom! Interestingly enough, it was the Empress Josephine who really spurred on rose gardening and hybridization, and reading about her gardens at Malmaison made me love the older varieties of roses even more. Not to mention their inspiration to write romances set in that period—the early years of the 19th century, frequently referred to as the Regency. Unlike contemporary roses, Old Garden Roses are lush and full of soft petals when they fully open, and most have extraordinary fragrance that can fill an entire room. Is it any wonder that I frequently set scenes in my Regency romances, like I Bid One American, in rose gardens? The Empress Josephine collected roses for her gardens at the Chateau de la Malmaison from 1805 to 1810. This collection spurred on an interest in the culture of roses that lead to some of the most important work in rose hybridization during the 19th century. The Empress Josephine had over 150 different Gallica cultivars in her collection, and the rich burgundy-colored Gallica roses were the 'darlings' of the Regency period. 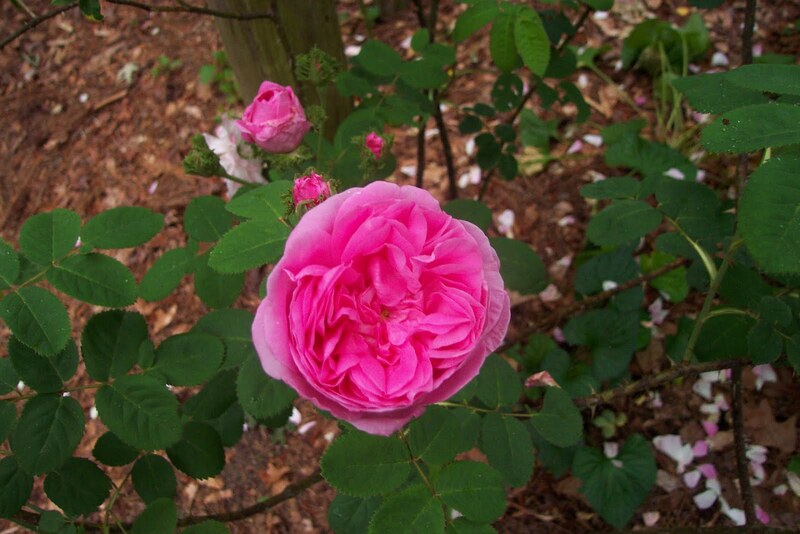 The Empress Josephine's goal with Malmaison was to obtain every species of rose then known. Napoleon instructed the French Navy to seize any plants or rose seeds they found when they searched ships at sea. In just one year, Josephine spent close to 2,600 pounds with the English nursery of Kennedy and Lee, despite the war with Britain. And despite the naval blockade, the British Admiralty granted a safe-conduct pass to the Kennedy and Lee firm to deliver the new China Roses to Malmaison. The Englishman Kennedy was employed by the Empress to assist them in laying out her rose garden and interestingly enough, there was one plan (never used) that laid out a rose garden in a design close to the Union Jack. So Josephine set the standard for rose gardening for a very long time. All the wealthy French followed her lead and many joined in the competition to see who could amass the largest collection. Her biggest rival was the Countess of Bougainville, who tried to amass as many new roses as possible. It is no surprise that economically, the rose became the most important flower in France. Sadly, after Josephine’s death in 1814, Malmaison quickie fell into neglect, but roses still passed from Britain to France. 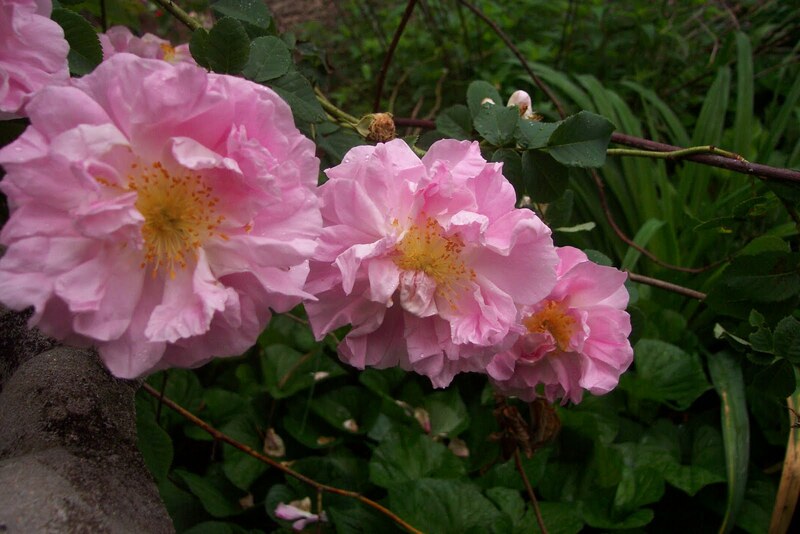 But many of the men who trained at Malmaison went on to become famous rose hybridizers. They established France as the premiere country in rose-breeding. 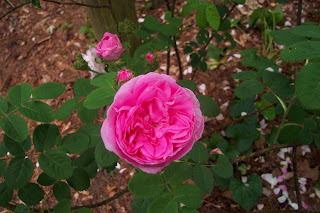 It was a fascinating period in history, and after finally finding roses that will flourish and bloom in my garden, I’m grateful to the Empress Josephine and all the men and women who worked so hard to make the rose truly the Queen of the Garden. Arranged marriage is a wonderful premise for a romance novel whether it is placed in the medieval period or up through the 19th century. Even today there are arranged marriages in many cultures like India and several Asian countries. Then, as now, such marriages are based on issues other than love. Money, the acquisition of land, political power and a desire to position a family in society are common reasons for arranged marriages. This is a subject with ramification in many times and places, but for the purposes of this blog, I will deal with arranged marriages in the 19th century in Great Britain and America. The monetary aspects of marriage among the upper classes and the peerage in Great Britain were in the forefront of any union, whether based on love or for any other reason. The suitor would, as a matter of course, approach the young woman's father, ask for her hand and would explain his intentions as far as pin money and the worth of his estates. In return, the father would detail the dowry his daughter would bring to the marriage, as well as the total worth of her expectations. Once the woman was married, all of her worldly goods became the property of her husband, and unless her father put her money into a Trust that was managed by an independant Trustee, she would be completely at her husband's mercy monetarily. The purpose of the trust was to prevent him from ":Kissing or kicking" her money out of her. Since a woman had little to no legal recourse if her spouse spent all his money, and hers as well, on gambling, wine and women, she had to hope that her parents arranged her marriage very carefully for her protection. In my opinion, a family would do well to consider the stability of the man in question, and an equality of family backgrounds, status and interests. Although differing interests can be well accomodated if the man and wife find that time spent apart makes the marriage happier. Just to cover the ways that English traditions translate to American History, we must always remember that Americans up to the 1900s were mostly all from the British Isles. Therefore, the discussion of women's rights and reasons for marrying are very similar except for the concept of royalty and the peerage. However, class distinctions were as powerful a motivator in America as titles were in England. In the west, people sought marriages that joined lands or gained wealth, or strengthened alliances. The ability to provide an heir is yet another reason for a marriage based on reasons other than love. In old Blue-blood families in England years and years of cousins marrying cousins, or other families of attenuated genetic materisal, could lead to a very real need for "a little fresh blood." In some cases the fresh blood needed was money to rehabilitate exhausted fortune and aged estates. In both cases the man's family might look to a young woman of the upwardly mobile merchant class, especially if her parent had received a knighthood or was exceedingly wealthy. In addition, it would prove advantageous if the merchant's daughter had been well-educated in the ways of a lady and had made an entry into society under the auspices of a respectable woman. Of course, marrying downward would only do if the man's estates were on their last legs, or if his rank was not of the highest. Even good schooling and acceptance of part of the ton could never make a tradesman's daughter a suitable wife for a Duke. But... if might make a great love story! Speaking of Love stories, Heart of Gold will be out March 11, 2011. I hope you will enjoy Matt and Dee's story. What Happened to Byrd Freels? A number of years ago, I lived in East Tennessee and worked for my geologist father in his small oil exploration company. One of our tasks was to research property deeds before committing to a drilling project, and that meant going all the way back to the first deed registered. We were going through records in the basement of the Morgan County Courthouse, and Dad had showed me how to research old hand-written deeds. We had to not only check the names and signatures but the property descriptions. It wasn't uncommon to see descriptions that said "120 paces to the White Oak tree, now fallen..." and that sort of thing. Just as common were signatures marked "X (John Jones, His Mark)", since many people couldn't read or write, and someone else had to witness the signature. That's where my story begins. I had just followed the chain of deeds back to just after the Civil War. On this one, the signatures, signing over the property to John S. (I don't want to tell you his real name, knowing he still has descendants in the area), were "X (Byrd Freels, His Mark)" and "Matilda Freels". Okay, on to the deed to the Freels family. I found it easily. It was signed, "Byrd Freels" and "Matilda Freels". "Dad, come and look at this," I said. He looked at one, then the other. His eyes got really big. Just how could it be that both Byrd Freels and his wife could read and write and sign the deed to acquire the property, but when it came time to sell, only she could read and write? After the Civil War a Free black man named Byrd Freels arrived in that rural Tennessee county with money to buy a farmstead, which he did. There was a man down the road named John S., who was very hostile to the Freels family, who harassed them regularly. One day John S saw the Freels' dog and shot it. Freels picked up his shotgun and went after John S, killing him. Then Freels vanished, and the said he had high-tailed it out to the West, but not before signing over his property to John S's son by the same name. But, said the historian, the whispers said the white men had chased Freels down and tarred and feathered him before lynching him. He had no explanation for the signatures, and had no idea what had happened to Mathilda. I always figured Byrd had been lynched and Matilda forced to sign. But a number of years later I was working in a store in Olympia, Washington, when a black man came in to do business. When he signed his name, I stared. Byrd Freels. I asked him if his ancestors had come from Tennessee, and his faced turned to steely hatred. "We don't talk about that," he said. Since I've got a new Western historical release from the Cactus Rose, Marrying Mattie, I reckoned it apt to include a bit today on the ethics of those cowboys. Some pretty fitting advice for all of us in all walks of life, don't you think? 9. Remember that some things aren't for sale. 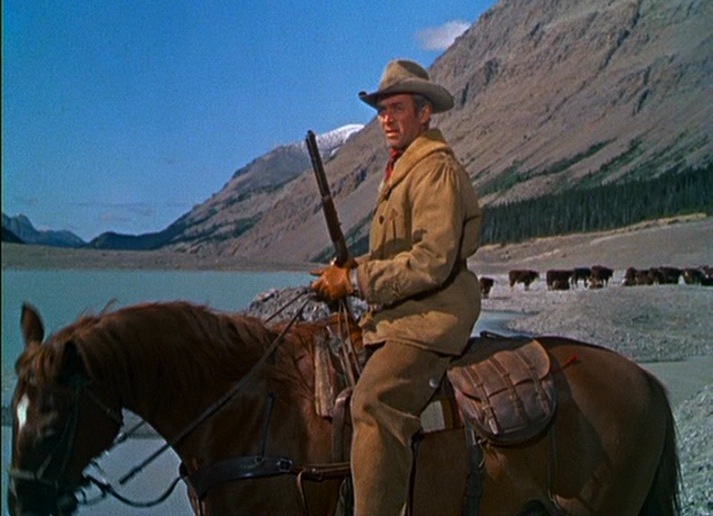 When writing Westerns, Western Romance, or Historical Romance, we authors try to make our cowboy heroes larger than life. Handsome, rugged, polite, but with a backbone of steel, and riding tall in the saddle, he's the man of every woman's dream. 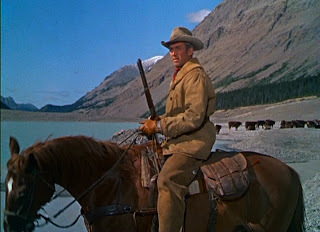 I thought it interesting that many of our on-screen cowboy heroes were/are real life heroes who served our country valiantly in the United States Military. Ernest Borgnine - served in the U.S. Navy for twelve years, joining before WWII. Henry Fonda - US Navy. Bronze Star for Valor. 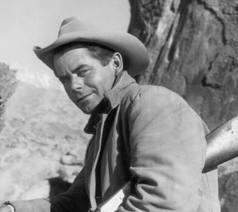 Glenn Ford - US Navy. In addition to his WWII service, he served in the reserves during the Korean War and the Viet Nam War. He retired as a Captain in the US Naval Reserve. Clark Gable - Captain, US Army Air Corps. 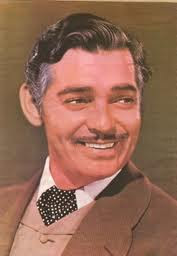 Although beyond draft age, Clark Gable enlisted as a private in the Air Corps on Aug. 12, 1942 at Los Angeles. He attended Officers' Candidate School at Miami Beach and graduated as a second lieutenant. He then attended aerial gunnery school and in Feb. 1943, on personal orders from Gen. Arnold, went to England to make a motion picture of aerial gunners in action. He was assigned to the 351st Bomb Group at Polebrook and although neither ordered nor expected to do so, flew operational missions over Europe in B-17s to obtain the combat film footage he believed was required for producing the movie entitled "Combat America." Gable returned to the U.S. in Oct. 1943 and was relieved from active duty as a Major on June 12, 1944 at his own request, since he was over age for combat. Jack Palance -US Army Air Corps. 455th bomb group. Required facial reconstruction from terrible injuries received in 1943 when his B17 crash landed in Britain. Ronald Reagan - Captain, US Army Air Corps. Because of a severe hearing loss, he was not allowed any flying duties. However, he appeared in training films. Prior to the war, he was a cavalry officer in the Nebraska National Guard. Jimmy Stewart - US Army Air Corps even after his an active role in the military, Stewart continued to be active in the United States Air Force Reserve, achieving the rank of Brigadier General on July 23, 1959. James Garner - he joined the National Guard serving seven months in the USA. He then went to Korea for 14 months in the United States Army, serving in the 24th Infantry Division in the Korean War. He was wounded twice, first in the face and hand from shrapnel fire from a mortar round and second in the buttocks from friendly fire from U.S. fighter jets as he dove headfirst into a foxhole on April 23, 1951. Garner was awarded the Purple Heart in Korea for the first injury. For the second wound, he received a second Purple Heart. Many of these super-hero stars have gone on to meet their maker. Yet, no matter how large or small, each has left an impression on those who watched them on the big screen and in television reruns. BANNON'S BRIDES ~ now available at http://www.thewildrosepress.com/ and other on-line stores. Many unique factors define a historical period--technology, politics, wars or the lack thereof. Social manners and mores also define an era, including the names parents give their children. The English Regency (1811-1820) was no exception. In England, the name of the reigning monarch was always popular with the parents of newborns. In the Regency, and for the previous 100 years since George I ascended the throne in 17 14, that name was "George" (George III pictured). George Washington, born in 1732, took his name from George II (reigned 1727-1760). George Gordon Byron, the famous Regency poet, Lord Byron (born 1788), was named for George III (reigned 1760-1820). Girls were not exempt from the trend--Georgiana, Duchess of Devonshire, born in 1757, was named, like George Washington, for George II. The name "George" was so important and so popular that the entire era preceding the Regency, from the reign of George I (1714) to 1811, was named the Georgian era. After "George", the names of kings and queens from the Norman Conquest onward were popular, especially among the upper echelons of society. For boys, popular names were John, William, Richard, Henry, Charles, James, Edward, and the Saxon kings' names Harold and Edmund. Girls' names included Elizabeth, Mary and Anne, monarchs in their own right, as well as the kings' consorts, Charlotte (George III), Catherine and Jane (Henry VIII), Emma (Canute the Great), Eleanor (Eleanor of Aquitaine, wife of Henry II). Caroline, the name of the Prince Regent's wife, was also popular, as well as the names of the Regent’s sisters, the princesses Sophia, Augusta, and Amelia, and his brothers, the princes Frederick, Alfred, and Adolphus. Biblical names, with a few exceptions, such as Susanna and Sarah, were not popular with the Beau Monde. A footman might be named Joseph, but his master, the earl, would not share the name.